Solar energy is the energy of the future. Using a solar light is one of the best ways to begin to incorporate that abundant and limitless source of energy into your daily life. Solar lights are great for people looking to save a little bit of money on their electricity bill every month. They are also great for getting your foot into the door to using solar energy, starting with a simple product. They can also work for somebody who has never even thought about solar energy before. People with big yards can also benefit from solar-powered outdoor lights. They eliminate long extension cords and usually don’t require any turning on or off. However, myths abound around solar energy. Some believe that it can’t work on a cloudy day or at night. Others think that solar-powered products aren’t that bright or powerful. Well, all of that is untrue. Solar-powered products can be just as powerful or even more powerful than those that work off the normal grid. They can work any day or any night. That is regardless of weather and without wires running all over the place. That said, not all solar-powered products are created equally, and least of all, outdoor solar lights. Solar lights come in many forms, with many different material qualities, brightness and even modes. Some are made for security. Others, just for looks. With the wealth of solar products out there, it’s hard to know which ones are good, and which ones just don’t shine above the rest. Because of the popularity and the affordability of outdoor solar lights, there are a lot of options on the market. They vary in price, usage and features. When choosing a solar light, it’s most important to keep in mind what you’ll end up using it for. Then you can evaluate its features. In general, there are a few different main uses of outdoor solar lights. They serve a few different overarching purposes. Different features of different lights fulfill some uses better than others. 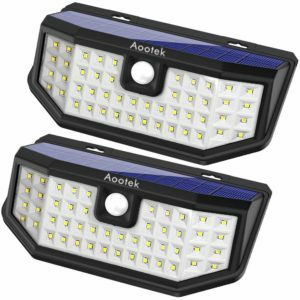 Keeping the use in mind when considering the features will help you find the solar light that best fits your needs. Security: Solar lights for security tend to be larger to accommodate larger solar panels and more bulbs, so the lights can give off more, stronger light. Solar lights that are for security purposes also need to have a consistent, long run time, or else they will not provide security through the night. These lights might also have a motion sensor, which can be helpful in extending run time and providing extra security. Illumination: It seems pretty basic, but some solar lights you just need to illuminate an area. Maybe it’s around your deck so you can have a late-night dinner outside without the hassle of wires all around you. These kinds of lights should be bright but provide a soft glow. Some lights can be too bright, and therefore don’t work well as lights simply for illumination, while others are too dim to actually use to see the world around you. These lights tend to not need to last through the night, as they’d be mostly used in the early darkness hours, so you can sacrifice run time for other features if this is your purpose. Aesthetic: Sometimes lights just need to look good. Solar lights are a great solution for this because they don’t need wires, but some solar lights come equipped with large, ugly solar panels. In solar lights being used for aesthetic purposes, size is more important than brightness, and some features can be sacrificed, if the final product is pretty, small and reliable. When ranking solar lights, we kept all three uses in mind. We present the pros and cons of each one with the different uses in mind. No solar light is perfect. But choosing a light that comes with a combination of features that fits your needs is what is important. Solar lights come in all shapes and sizes. As we’ve established, the considerations are different depending on the usage. 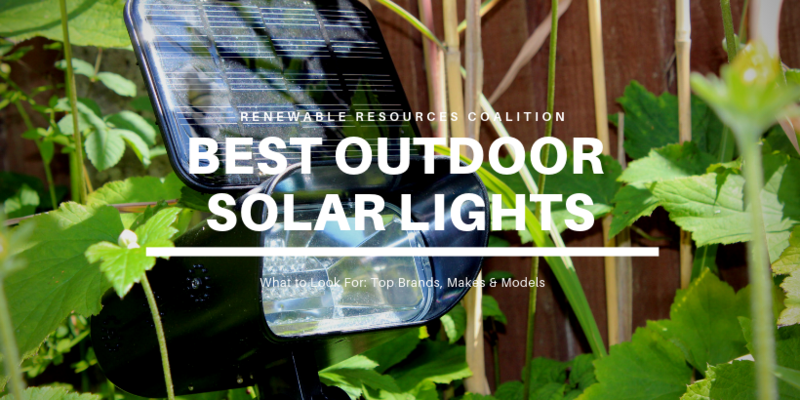 When evaluating the solar lights on the market right now, we ranked them based on a variety of categories to develop a list that has options for each variety. We ranked this list in order of the best designs and most useful products for any situation. However, you can also find specific considerations for different uses within the explanation of each light. There are two lights that work best for security. There are two that work best for illumination. Finally, there are two that are the most aesthetic lights. Each individual light has its pros and cons. So when evaluating, we chose the best feature of the light to highlight. We also chose the number of lumens that it gives off. Then we added a short, condensed list of pros and cons in the summary. After that we go into detail to describe how each feature plays out in the overall usefulness of the light. In general, we found lights with mid-level brightness the best overall. Lights that are too bright have limited capacity as solar lights. Lights that are too dim aren’t very useful for actually seeing things. That said, our list includes lights from 10 lumens each to 2000 lumens. So you’ll surely find some variety in the different options. We also favored lights that have more modes. That is because those lights are more flexible to the user. Especially modes that allow the user to adjust brightness or the times that the lights are lit. The modes can be changed based on the amount of sun received per year. For example, users might leave the lights in a dimmer mode in the winter. That is because the solar panels receive less sun. Therefore, they have less charge. The night is longer, so they need to stay on longer. Dimmer is okay because people tend to be outside less than in the summer. That said, not all lights have multiple modes. Simple can also be better, depending on the needs of the user. Each category is highlighted in the full description of light. At least three or four categories appear in the summary of our review. We also eliminated competing lights from our list when they failed significantly in one of the categories. I’ve heard that solar-powered lights are dimmer than other lights, will my solar lights really shine as bright as normal electric lights? The short answer is yes. The long answer is a bit more complicated. Each light has its own brightness. On our list we have lights that range from 10 lumens to 2000 lumens. That is a huge range. In general, the standard household light bulb produces about 800 lumens. So solar lights can be much dimmer, or much brighter, than that standard indoor bulb. That said, outdoor lights, solar or standard electric, vary greatly based on what you need them for. It is safe to say, though, that solar lights have the capability to be just as bright as any other light. Do I have to have a sunny yard to be able to use solar lights? Solar lights generally need anywhere from 3 hours of sunlight to 8 hours of sunlight a day to charge. South facing areas are the best for solar panels. But even places in the north part may receive enough light as well. The truth is that it depends on your house. The average house receives about 5.5 hours a day of sunlight. Some receive much more and much less. Does your house receive relatively little sunlight? You can choose a light that has a shorter charging time. You could also choose a light that is easily adjustable. That would maximize the amount of sunlight that it receives. At the end of the day, solar lights will still work even if they don’t get fully charged. You may just find that your light is dimmer than it would be with a full charge. Maybe it doesn’t stay on as long as it would with a full charge. Choosing lights with different modes or that tend to have a longer run time is another way to mitigate this. Don’t rule out the option of solar outdoor lighting. Even if you think your yard isn’t sunny enough, it may still work. Does the battery for solar lights last long enough to stay on all night? For sure. The solar lights on our list have batteries that last from 3 hours to 10 hours. It depends on the light that you choose. Is your goal for the light to stay on all night? There is definitely an option that can work for you. It is important to think about what you need the light for. Decorative solar lights tend to have shorter battery lives because the average user won’t use them all night. Security lights tend to last longer. Users expect them to stay on all night for safety reasons. Like any batteries, solar light batteries do wear out over time. It is important to consider if the light has a replaceable battery. If the light lasting all night is a high priority, it may require replacing the battery more often. In order for the lights to last all night, they generally also need to have a complete charge. The sunniest areas are best for lights to last all night. I live somewhere that receives a lot of extreme weather, will my outdoor solar light really hold up against it? Solar lights are generally no more fragile than other outdoor lights. However, certain models may require more care than others. In our review, we also highlight lights with good durability and high-quality material. One of the most important aspects in terms of holding up in weather is installation of the lights. Solar panels can be fragile, as can light bulbs. So ensuring that they are well-installed is key. We also prioritized lights that are easy to install so you can be successful. Without further ado, here are our rankings of outdoor solar lights. Keep in mind what function you’re using the lights. Also keep in mind the conditions of the space you hope to use your lights in. You’ll first find a quick summary of the lights. That includes a highlighted feature, lumens, and pros and cons. Then you can find out more details in the complete review section. That explains why we chose that particular light and what other reviews say. We will tell you some things to keep in mind about each light. In our rankings, we prioritized lights with medium brightness, easy installation and long run times. We also favored lights with the most flexibility of usage, through different modes. You’ll find an explanation of the different features that each one offers in the full review. URPOWER’s Solar Spotlight took first place on our list because of its reliability and flexibility. The lights are compact and adjustable. That means that they can be placed anywhere in the yard, including as a solar path light, depending on the user’s needs. This freedom also allows the user to maximize how much light they receive. That means that they can potentially be placed in a much better place to receive sunlight than mounted to a wall. Therefore, they will charge quicker and last longer. The advertised charge time is 4-5 hours. Among the lights we investigated, that was by far the lowest amount of time required to charge. 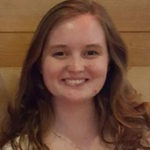 This comes in part from the ability to adjust the solar panels and placement of the lights to maximize the amount of sunlight that they receive, as well as the relatively large solar panel in comparison to the light. With a short charging time, the lights are more likely to work at their maximum efficiency after dreary days or in the winter months when the sun is out for fewer hours a day. The advertised run time when fully charged is 6-9 hours. 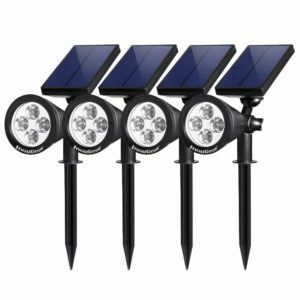 Although in the longest nights of the year, this may not cover the entire night, 9 hours is about the maximum that any solar lights of this standard are able to last, meaning that these lights are about as efficient as it gets. The lights’ automatic on/off at sunset and sunrise and the bright and dim modes also allow users to maximize the amount of time that they can get out of the lights. In addition to lasting a long time, these lights are also bright. As we’ve said before, solar products can be just as strong as non-solar-powered products, and these solar lights are a shining example. They have 200 lumens each, which for the size of the light and the function as a yard light, not a solar flood light, is very bright. Between the flexibility of the lights which make charging it easier which in turn makes the lights run longer and the convenience of the multiple settings and ease of installation, these lights took first place on our list. They have a number of useful features and they’re reliable even in the least ideal conditions. The reviews for this product are overwhelmingly and enthusiastically positive. The reviewers on Amazon marked this solar light’s best three features as being easy to assemble, good value for the price and durable. Many told of placing the lights in their yards, lining driveways or illuminating certain aspects of the house or yard that they would like to draw attention to, and a few reviews went even further in expressing their excitement for the lights. One real estate professional loved them so much that he recommends that real estate agents use them to draw attention to homes they are selling even after dark. He also recommends them as a great housewarming gift for new homeowners. Another reviewer pointed out an unintended use for the product that they came across after a natural disaster in their area which caused them to lose power. Her family used them for light in their house at night, and recharged them every day outside in the sun. The vast majority of reviews are straight and to the point, though. They establish that the lights are bright, charge well and are generally weather-resistant. Many critical reviewers have concerns about the ease of breaking the lights and the possibility of theft because they are not mounted, but still acknowledge the excellent run time and brightness of the lights. These lights are bright, and for some people, they might just be a bit too bright, at least in color. The company offers three color choices, cold white, warm white and multicolored, but some found that even the warm white gave off a powerful cool, LED toned glow, which can be overwhelming at times if too direct. Whether or not this is a problem for you will depend largely on what the lights are for, those illuminating certain features of their house might find that the light leaves a strange glow, while others that just want to brighten the yard might not be bothered by it. Another consideration with these lights is that they are intended to be staked into the ground. This can be difficult if the soil in the place where you hope to put the lights is particularly hard, as they may not be possible to place. They also can be at risk of being damaged if there is significant activity around the lights by children or animals. The lights do come with screws to attach them to a wall, but in general, that is not what they were intended for, and there are likely other lights that are a better choice if you hope to mount the lights on a wall. The solar panel and light can swivel, but the angle of the light may end up being inconvenient if mounted, and the light cannot receive as much of the sun if mounted, which is what makes this particular light efficient and long-lasting. Aootek’s 3 Mode Outdoor Solar Lights take second place because of their simple flexibility. These lights are no-fuss on the outside, just a block of 48 LED lights. They are in an arrangement to give them maximum reach possible (older designs only reach directly in front of them, while these lights are angled to also reach the sides). What sets these lights apart, though, are the three modes. One mode is automatic-on, all night. This is the simplest mode, which just consists of the lights turning on when they sense that it’s gotten dark and turning off when they sense light, or they run out of battery. “Auto-on” is pretty standard among solar lights and, while it is nice to have, it isn’t particularly special. What is special is the two motion sensing modes, motion sensing bright and motion sensing dim. Having the option to use motion sensing is great after cloudy days or winter days when lights might not be fully charged, because it minimizes the amount of time that the lights need to be on, while still giving off light at the necessary moments. The motion sensing dim mode adds to that even more, because dimmer lights mean less energy usage. Being able to choose between having lights on all the time and motion sensing with different brightness levels makes these lights really flexible in what you can use them for. They could light up a porch or deck for a late dinner. You could also use them for security at night. The options also allow you to make your usage of the lights the most efficient in the way that’s best for you. These lights are also bright enough to be used to light up a medium-sized area at 450 lumens each. That is, if you place a few nearby each other, especially if the different modes are taken advantage of. Their charging time is reasonable as long as they’re placed in direct sunlight. Most of all they’re simple and flexible, two things that are indispensable solar lights. Many of the reviews for this product focus on the motion sensing feature. Many are happy with the range and sensitivity of the motion sensor. However, a few noted concerns about the default motion sensing time. In general, most are positive about the motion sensor, and the options for the different modes of the light. Reviewers rated the top features as being easy installation, motion detection and the option for a “low light” mode. They reported that they work just as the manufacturer advertises, and provide very bright light. Another reviewer did a test of the motion-sensing ability of the lights. He concluded that the sensor range is excellent. They detect movement very well. He also noted that the lights come on very quickly once they detect movement. Although the motion sensing features of these lights tend to work quite well, the details are not customizable. That can be frustrating based on what you need the lights for. Upon detecting motion, they will illuminate immediately, then remain on for 15 seconds if they do not detect further motion. This 15 second illumination time may seem short for some people. That is especially if the motion is expected to be on the edge of the range of the sensors. As useful as the three different modes are, accessing the switch to change them can also prove difficult. It is located on the back of the light, which means that once you have your light mounted, you’ll need to take it back down in order to switch the mode. The good thing is that it is quite easy to mount and dismount, but it can still be a pain if you’re hoping to switch them often. The auto-on mode is the simplest, but it only has one option – bright – while the motion sensing one has the option to be set to either bright or dim, which can also be a bit of an annoyance if the bright mode is too much for a constant light or if the light is not fully charged. That said, because of the different possible modes, there is still likely a feature that fits your needs for any occasion. This light is bright. In comparison with all the other products reviewed, it is more than 4x brighter than the next brightest option and will cast that bright light much farther than any of the other lights. Because of that, a single light can be used as a “flood light,” that is, it is definitely bright enough to completely illuminate a significant area (for example, a driveway) all on its own. It also is a motion-sensing light, so that extreme brightness only gets flicked on when motion is detected within 125° and about 12-16 feet. 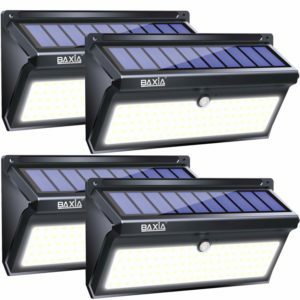 The motion detector on the Baxia Technology Outdoor Solar Light is sensitive with a wide range, allowing it to also function well as a security light. When turned on, it will spotlight the object that triggered the motion detector and remain on for 30 seconds. Because the light only functions as a motion sensing light, it has the ability to last longer than any light that would remain constantly on. The advertised run time is 8-12 hours after 6-8 hours of charging, which means that if you can manage to charge it fully, this light will last through the night even on the longest winter nights. It also has a particularly good rating in terms of resistance to being outdoors and less than ideal weather conditions. With a waterproof ingress protection (IP) rating of 65, which means it is completely safe from rain or any other jet of water that might hit it, and also has features that make it both heat and frost resistant. Whether or not this light is a good fit for you depends on what you intend to use it for. As it is so bright, it is too much light to act as mood lighting for a yard and because it relies on a motion detector, it won’t stay on for a long enough time to really enjoy the light anyway. But if you’re looking for a solar security flood light, this light is perfect – the motion sensing flood light is reliable, bright and sensitive, making it a powerful security light. Just as the lights themselves, many of the reviews are quite simple and straightforward, noting that the lights are bright and sturdy. A few reviews mention the ease of installation and others highlight the motion sensor. One reviewer reported that he installed them about 10 feet up and that as soon as anyone walks near them, they come on. Others agreed, noting the time that the light stays on and asserting that it will continue to stay on as long as there is consistent motion. More than any other feature mentioned is that these lights are bright. In many pictures posted by reviewers you can see that they illuminate large areas of light. They also have a white covering over them that ensures they aren’t too bright to look at. One of the biggest downsides to this light is that it just comes with one mode – off until motion is sensed. While this is great for a security light, it may not be the best option if you’re looking for a light to illuminate your yard all the time. In order to turn on/off the light you must insert a pin (included with the lights) into a small hole on the back of the light. This can be difficult for some situations because it is not easy to reach and can be inconvenient to use the pin but does not need to be done often, as the is auto-on/auto-off and just has one mode. It is also important to remember that these lights must be mounted onto something, be it a wall or a fence or something else. Some users expressed that they wished that the mounts were stronger, so the surface that it is mounted to should be chosen with care as to help with the lights’ stability. 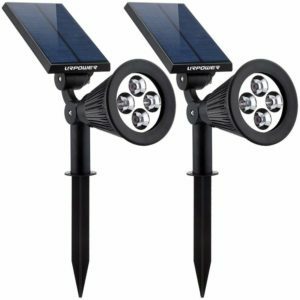 The Innogear Yard Solar Spotlight is pretty straightforward – it is a two-mode yard or wall spotlight. The key to this light is to recognize that people should use it as a spotlight, rather than a light for wider illumination. Within that usage, it is a flexible light. The design allows you to stake it into the ground anywhere is the yard, or to completely remove it from the stake to attach it to a wall. The adjustable angle of both the light and solar panel make the two-in-one design more useful, because it can be easily adjusted to suit either placement. The adjustable angle is also helpful for finding the best location to maximize the sunlight that the light needs, making the charging time as minimal as possible. That said, the charging time for this particular light is 8 hours, which is a relatively long charging time, especially for cloudy days and winter months. In order to help mitigate that long charging time, you can use the dim mode, which requires less energy that the bright mode in order to stay illuminated all night. At full charge, the light will stay on 8-12 hours in the dim mode, which is significant, but the bright mode will only stay illuminated 4-6 hours, which is relatively short for those that hope to use it all night long. As a spotlight style light, this light will not throw the light at a wide angle, rather it will provide a more concentrated glow. For those choosing to use it with the dim mode particularly, you may find that the light is not as powerful as the lumen count may suggest. That said, it is still good at what it does, and the adjustability of the light helps users focus the spotlight well. Many of the reviews regarding these solar lights varied. Many noted the high quality of the product’s material and the relatively good run time at the dim setting but expressed that they would like to have lights that could rotate from side-to-side, not just at an up-and-down angle. Reviewers expressed that they are definitely spotlights rather than floodlights. So you do need to place them pretty far from an object in order to illuminate it. They also reported that the lights are good quality in terms of battery life and durability. In general, though, most seem satisfied with their purchase, and the few that experienced any issues with the initial purchase (ex. broken light), expressed great satisfaction with the customer service response of Innogear. Despite the features that could be more ideal, these lights should work well without issues, especially if you’re looking for a yard spotlight. If you’re in the market for a solar spotlight, these lights are perfect. The two modes allow for adjustability based on your brightness needs and the solar conditions. The ability to mount or stake them is also unique, especially in combination with the flexibility of the angle of the panel and the light. With that in mind, they may not work as well in other conditions. For example, if you’re looking for a light to light up a patio area or a security light, this might not be your best option for a few reasons. The light does not travel especially far and does not provide light at a wide angle. It also does not rotate, which can limit the helpfulness of the ability to adjust the angle, in terms of maximizing the amount of light that it receives. The Othway Wall/Fence Post Decorative Solar Lights are the most compact solar lights on this list. They’re also unique because they successfully merge utility and appearance to create a light that is pleasant to look at, and also provides illumination to the area. The lights are easy to mount, especially given their small size. You can place them pretty much anywhere that there is a wall to mount them on. They also include all of the pieces needed to install them, which makes the installation even easier. These lights serve a different purpose in comparison to many others on the list, because their main function is aesthetic. The complete design from the size to the cover over the bulbs is with the appearance in mind and leaves a pleasing final product. With that in mind, it is important to note that they are not very bright and do not produce many lumens, just 12. And, with such a small output and physically small product, they do not run very long, just 3-5 hours at full charge (which the company estimates takes 6 hours). That said, they do give off enough light to illuminate a small area surround the light. These lights also just have one mode: auto-on at sundown and auto-off when they detect light or have run out of battery. These lights are very simple in terms of functionality but work very well at what they do. Many reviewers raved about the quality of the lights, noting quality materials and smart design, such as an easily accessible on/off switch. Many were also very happy with the appearance and the installation processes. Reviewers describe them as accent solar lights. They explain that they serve as great mood lights for their yards. Other reviewers highlighted the pleasant, warm light that it gives off. They also noted that it tended to last longer than the company advertised, approximately 6-7 hours, instead of 3-5. In general, reviewers that were looking for a pretty fence light were overwhelmingly happy. They left positive reviews but were also honest that the light is not the brightest. Reviewers that were hoping for a light to illuminate a large area were somewhat disappointed. The most important consideration with these lights is that people should use them as small accent lights to provide light to a small area with a purely aesthetic purpose. They will not work as flood lights or security lights. The biggest limitation of these lights is the brightness, followed by their relatively short run time. They are small, simple lights, and shine in their niche as high quality, pleasant-looking fence post lights. Compared to the other aesthetic lights, these lights are ideal for relatively utilitarian lights. They are not styled in a trendy way, rather it is the light that they give off that is meant to be what stands out as pleasant. But, they are of very high quality, made with sturdy materials, are easy to install and are very reliable. Of all the solar-powered string lights on the market, these are by far the best ones out there. The manufacturer designed them with the challenges of outdoor lights in mind. They are able to withstand weather and hold up for a long time. That is without compromising the bistro-style design. They also do not sacrifice the benefits of solar-powered lights for their pleasant appearance. The lights come on a 27-foot-long string. They have 12 lights on the strand. Each light is directly on the strand. The solar panel comes with a clip for easy installation. The lights are plastic, but are in the style of bistro lights, in terms of design and size. It should take them approximately 6 hours to charge. They should last around 5-6 hours when they have a full charge. That is generally a perfect amount of time for lights with an aesthetic usage. They do only have one mode, so they are relatively simple lights. They are free of motion sensors or the ability to adjust brightness. That said, they still have the setting to turn on automatically. Users can also opt to manually turn on and off the lights. Each individual light only gives off about 10 lumens. That in and of itself is not enough to light up an area. But as a complete strand of 12 lights, it should give enough light to light a small area. Ideally, you could place multiple strands together. That is, if the goal were to be to light an entire area, such as a patio or gazebo. If you’re looking for aesthetically pleasing, durable solar lights for the purpose of functionally decorating an area, these are the perfect lights. They wouldn’t work for security purposes and would require a significant amount of lights to truly illuminate an area. However, they serve well as beautiful mood lighting. Many reviewers express excitement for placing the lights in their decks, lawns, patios and gazebos, raving about how they’ve transformed their space from an average sitting area into their own backyard bistro. Some also had stories about the durability of the lights, while others highlighted that they stayed lit longer than the advertised time. One reviewer noted that they continued to work every night automatically, despite heavy rain and strong wind. Reviewers were also happy with lights’ benefits, such as being easy to hang, working well, and looking attractive. They liked the helpful features of both the stake option and clip option. In general, the reviewers enjoyed the final appearance, and happy with the functionality of the lights, repeatedly mentioning the quality of the material and the thoughtfulness of the design. They had mixed feelings about the brightness. Some found them more than bright enough to light their area. Others expressed that they wish the lights were a bit brighter. The biggest consideration to have with these lights is the amount of brightness that you need for your space. Small spaces might need fewer lights. In that case these might be a great fit. However, trying to light up a larger space might prove difficult with these lights. It is also important to think of how many lights you might need for that space. As this particular set comes with 12 lights on a 27-foot strand, it may not cover a complete patio. So it might be necessary to buy multiple strands, complicating the placement of the lights. However, one benefit of solar lights is that the lights do not need to either start or end near an outlet. That way, you can place them anywhere. The lights come with an auto-on/auto-off mode based on the light, which is standard for solar lights. In this particular case, however, since many people use this kind of light for ambient lighting in a seating area, some find that they come on slightly later than they would like, before complete darkness, which can be inconvenient in the meantime. Users have suggested covering the solar panel in order to feign darkness which can provide a solution. « What is a Windmill?